GoPro introduces the new Hero 7 White, Silver and Black with important improvements in photo and video. With what can be the worst time for GoPro because they increasingly sell fewer cameras, canceled their drone security problems and a significant staff clipping, GoPro announces three new action cameras that with their improvements will be the last you need in years. The new cameras replace all the previous ones and now it is easier to identify what each one is. The new Hero 7 White, Hero 7 Silver and Hero 7 Black arrive, thus distinguishing from lower to higher category. GoPro Hero 7 White is the most basic. A camera with a touch screen that records videos in 1440p resolution at 60fps takes photos of 10 megapixels and can submerge it up to 10 meters. It is a simple GoPro that will serve you for absolutely everything you need, whether it is to record sports or trips. Hero 7 Silver is an intermediate model that improves video quality at 4K resolution at 30fps with GPS to locate the videos and photos you make. The most complete model is Hero 7 Black and undoubtedly the most interesting of all, because with its features you cover absolutely all the needs. Record video in 4K and 60fps, an important detail. In addition, you can record video in slot-motion 2.7K at 120fps or 1080p at 240fps. Hero 7 Black takes HDR photos at 12 megapixels, includes GPS and it is also compatible with the mobile application and live streams through services such as YouTube, Periscope or Twitch. It also maintains voice control with which you simply have to say, for example, “GoPro starts recording” or “GoPro take a picture”. But this is the most important detail; it has OIS (optical image stabilizer). The result is a much more stabilized and smooth video. GoPro knows very well how to sell this with spectacular videos that sell a lifestyle that very few people, but demonstrate their potential. Unlike other years GoPro has simplified their new camera and now simply the name will know how to categorize them where they should be. The great difference with respect to previous generations is in its interior. GoPro now develops the processor that uses this camera, which allows them to go further when optimizing each model, with improvements such as 4K recording at 60fps, already present in the Hero 6 Black. 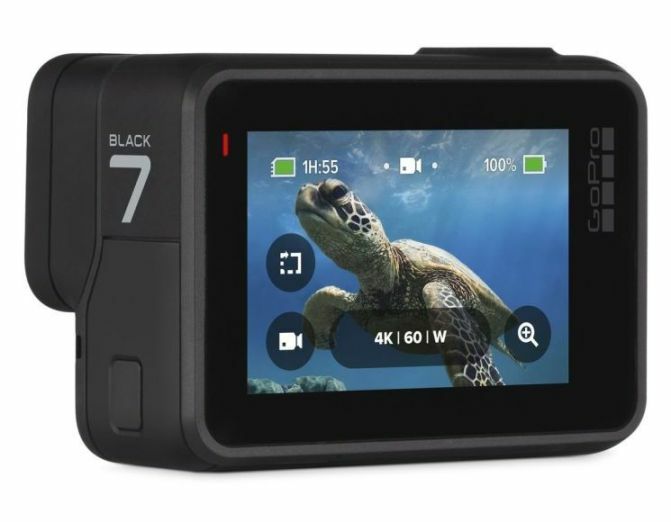 Hero 7 Black will cost 429.99 euros. Hero 7 Silver cost 329.99 euros and the cheapest, Hero 7 White, only 219.99 euros. Will it be this new range of Hero 7 that GoPro revives? However, the problem persists. Their cameras are so good and durable, that there are not many reasons why to replace them unless you have a very old model and want to go to 4K recording, for example.